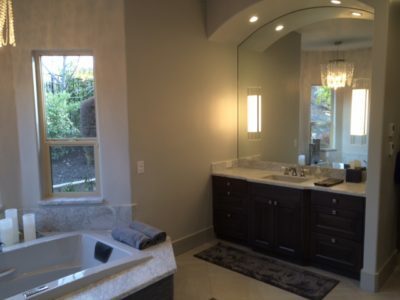 A Custom Master Suite Remodel for this Loomis home in “Clos Du Loc”. 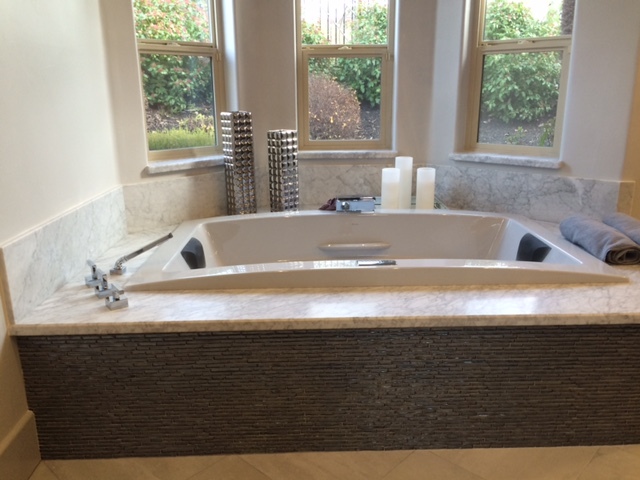 The center point of this large beautiful suite is the BainUltra Thermomasseur Soaker Tub. 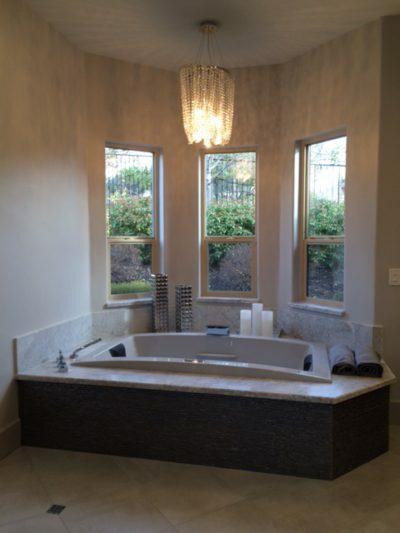 This tub boasts a solid stone top for the tub landing and Vista Tonelli Matte Glass surround with an elegant chandelier placed over the tub. 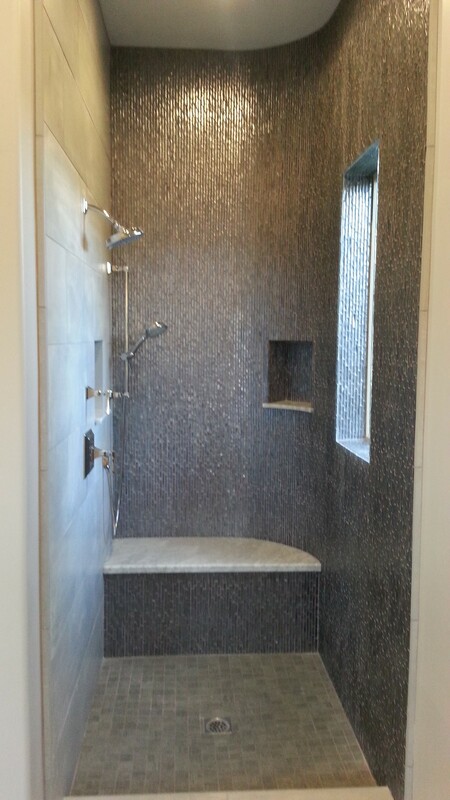 Unique curved shower designed with a bench finished in Matte Glass tile and solid stone surface on top. The shower is completed with radiant heat mats on both the shower floor and bench seat. Arch top mirrors, diamond crystal rosette knobs along with mirror sconces and L.E.D. 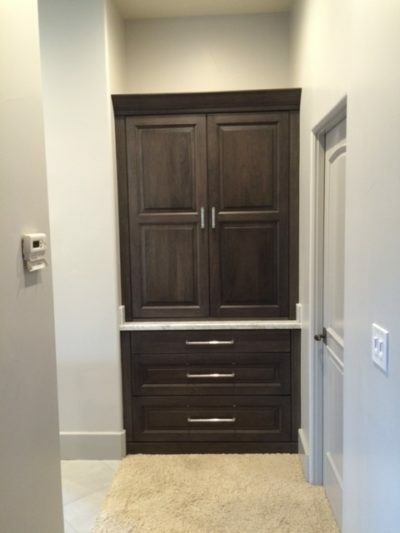 recessed lights in the vanity nook give a nice finishing touch.